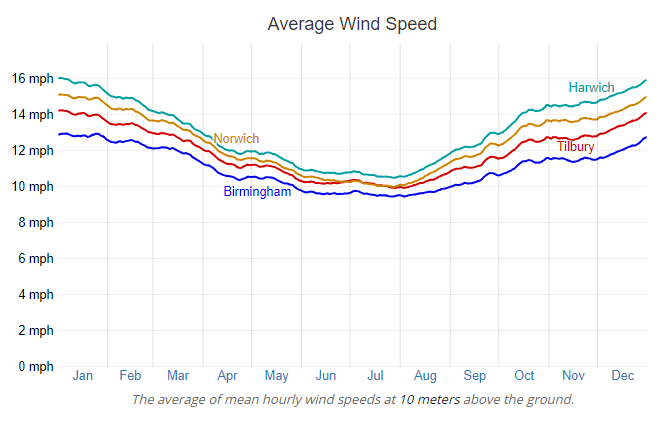 Average windspeeds for venues during the course of a calendar year. Note at 10m above ground. Allowance would be needed for venues having a built-up situation/vegetation/obstructions etc. at ground level.